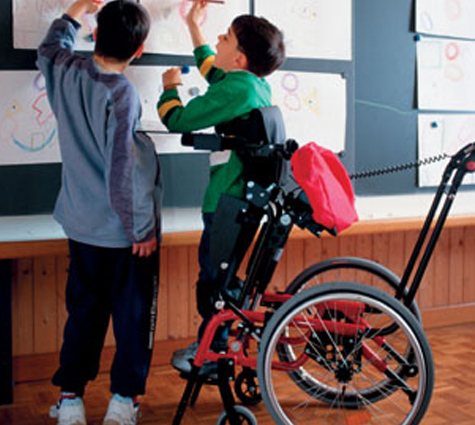 The LEVO LCEV Kid & Junior, like its big sister, is an active, agile manual wheelchair that gives your child life enriching standing at the touch of a switch. Optional accessories, such as attendant switches and stroller push handles, fully integrates the LEVO LCEV Kid & Junior into your full range of family activities. Bringing your child to any position from seated to full standing and any spot in between, means the LEVO LCEV Kid & Junior is your child’s full partner in play and learning.